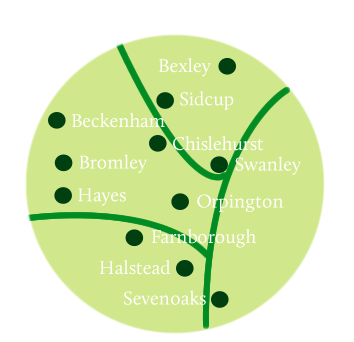 Ideally located close to the M25 and the M20 in Orpington, we work throughout Kent and the South East, providing homeowners from across the region, including Petts Wood, with the very best new shower installations, new central heating systems, bathroom installations and comprehensive bathroom design services. Below, you can see a few testimonials from just some of our satisfied Petts Wood clients. “Last week you finished off our wet room installation and your team has just left again after refitting the cracked shower pipe thingy! They found the problem almost straight away even though I could barely see the tiny crack and explained it might have come from the factory like that or got a little knock as it was going in.